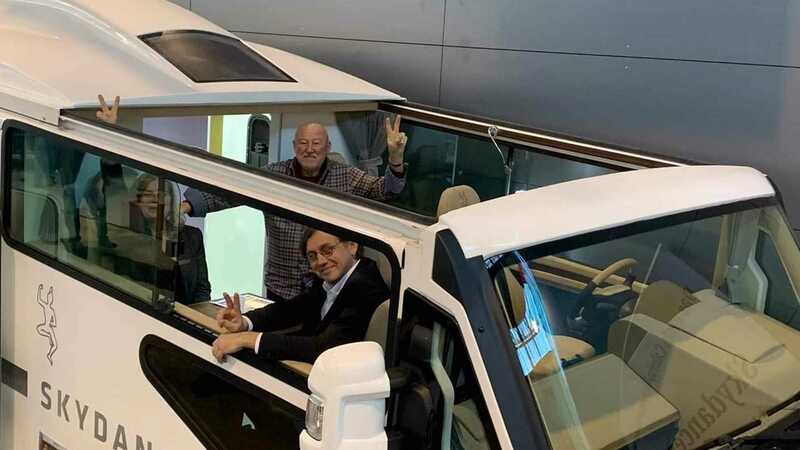 Convertibles and motorhomes are two automotive segments that don't generally mix, but the new RV maker Skydancer is shaking things up at Germany's CMT Show by revealing the Apéro – the first RV cabriolet. 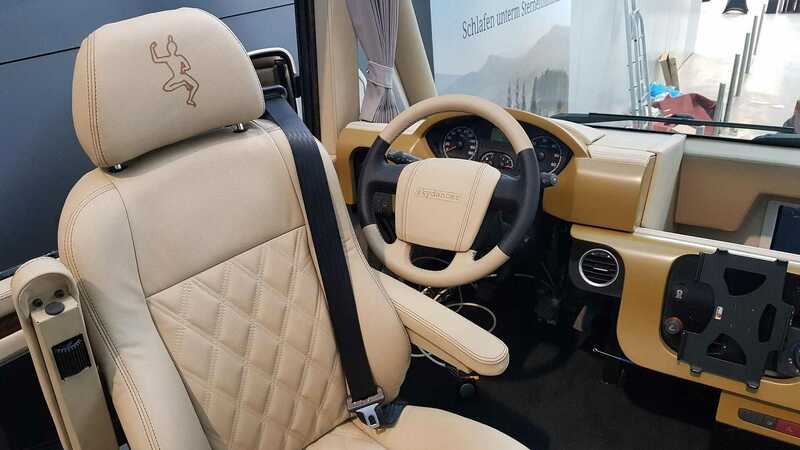 Drivers can even keep the top retracted while on the road to enjoy the fresh air. The Apéro has a two-tiered design with a living area on the lower level and the driver's cockpit on the higher portion. When open, the electrically operated roof lets sunshine into the upper level, and there's seating for four people there to enjoy the breeze. The chairs can convert into a bed measuring 78.74 inches (200 centimeters) long and 49.21 inches (125 cm) wide, which Skydancer claims is enough room for two people to enjoy a romantic evening under the stars. If the RV is a rockin', don't come a knockin'. The living area has a double bed that is 78.74 inches (200 centimeters) long and 55.12 inches (140 cm) long. 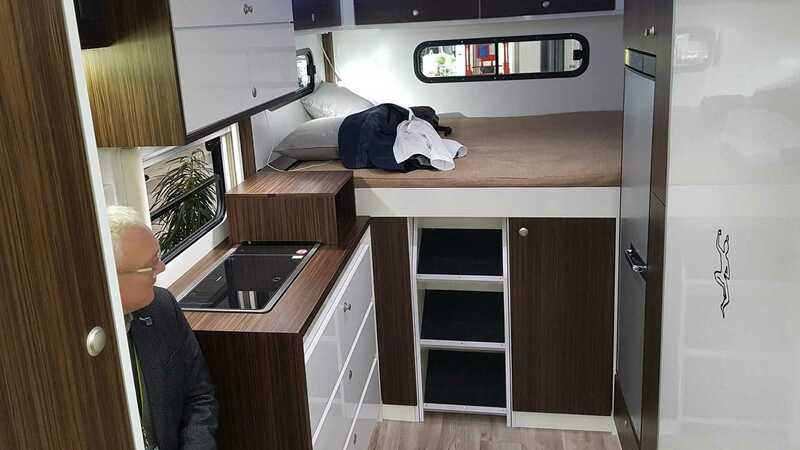 There's also a kitchenette with a two-burner stove, 5.12 cubic-feet (145-liter) refrigerator, sink, and prep area. The bathroom features a toilet and shower. To save room, the sink slides into the wall when not in use. There are 90-liter tanks for fresh and waste water. The Apéro rides on a Fiat Ducato chassis and packs a 2.3-liter Multijet turbodiesel engine producing 148 horsepower (110 kilowatts). In an odd touch for an RV, the gearshift rises up from the center console when the driver inserts the key into the ignition. Skydancer is offering the Apero for 108,000 euros ($122,063 at current exchange rates), and VAT in Germany takes the cost to 128,520 euros ($145,255). A different tune of the 2.3-liter Multijet turbodiesel is an option for 1,890 euros ($2,136); an automatic gearbox goes for 1,950 euros ($2,203), and automatic climate control is 699 euros ($790).